Jessie Banhazl is the founder and CEO of Green City Growers, an urban agriculture business that grows produce in transformed city spaces. Their current compound is tucked in the cozy office park/tow yard corner of Camberville (an area somewhere between Cambridge and Somerville, Massachusetts). The office is crammed with a team of gardeners, carpenters, and administrators adorned in workout gear ready to service multiple acres of land across the city. Banhazl’s impetus to build a urban agriculture business came from (1) seeing the opportunity to provide an appealing service; (2) knowing how to run a production; and (3) ensuring that this would be, and remain, a low-overhead adventure. Green City builds its business roof-by-roof and block-by-block downtown. Banhazl seeks opportunities to grow awareness of urban farming in visible, high profile public places such as Fenway Park, on top of the Whole Foods in Lynnfield, at Brandeis University, and more. GCG’s mission: To become a credible, community-minded business providing nutrient-rich crops at the community’s fingertips. "In that first year, we got a lot of calls. 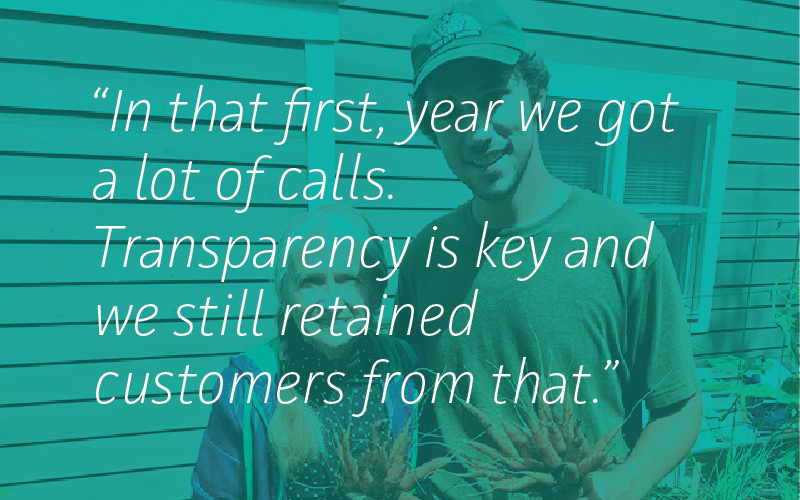 Transparency is key and we still retained customers from that." The first customers are your biggest word-of-mouth allies, so build trust with them. Early adopters can be a forgiving bunch as you are getting through your first year, but like all customers, they want reliable, high-quality service. Showing up to take care of the gardens is key, and each relationship is essential for the business’s future credibility. 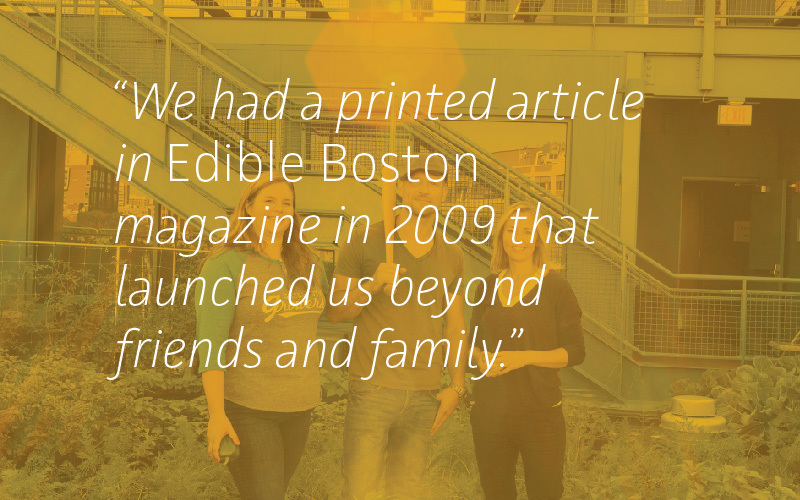 "We had a printed article in Boston Edible magazine in 2009, which launched us beyond friends and family." Traditional forms of media still have a ginormous impact. The Edible Boston appearance introduced GCG to a new audience, one extending beyond communal word-of-mouth recommendations. Reaching even more people after the first year growing pains provided the next wave of loyal customers, thanks in no small part to the article. 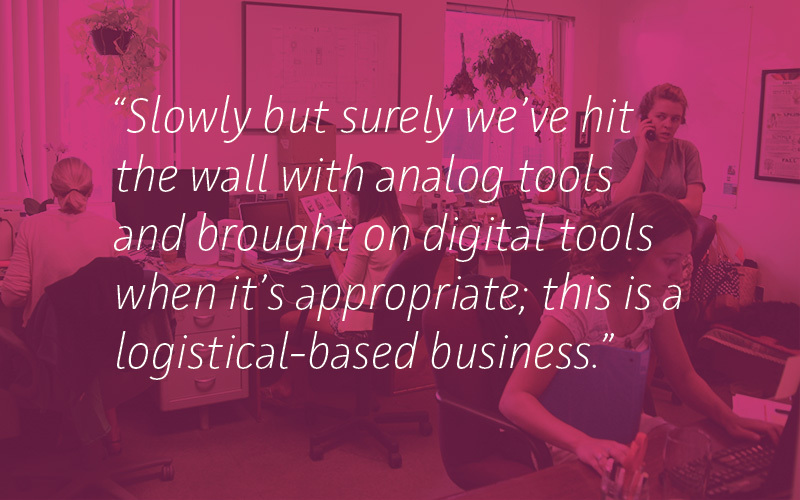 "Slowly but surely we've hit the wall with analog tools and brought on digital tools when it's appropriate; this is a logistical-based business"
Adopt digital tools, as they make sense. Coordinating the entire schedule of garden visits, watering timetables, and shift coverage can only go so far with paper and pens. As the business grows, so do the needs, the tools, and the plants! Over time, GCG designed custom software and websites tailored to the needs of the team and business. And adopting new types of hardware, like their rechargeable battery-powered watering systems, allowed visits to happen biweekly instead of every week. "Everybody eats and people want things that taste good. 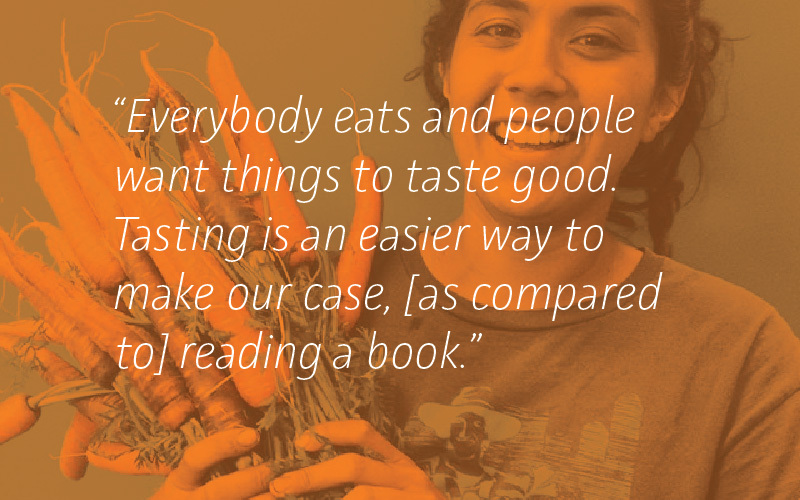 Tasting is an easier way to make our case, [as compared to] reading a book." A reciprocal experience is important for everyone involved. Green City learns a great deal from their customers and how they use the farming systems they design. These customers provide insight into how to make future prototypes to expand their offerings. 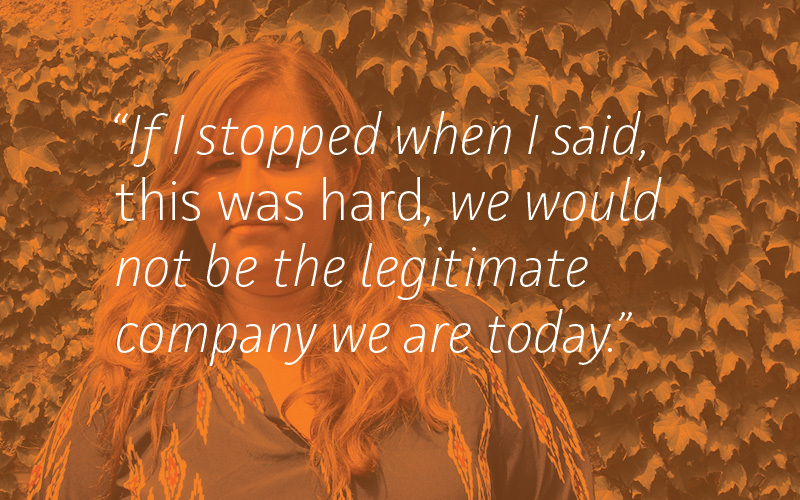 Hiring interns for three-month contracts often leads to great employees because interns get experiential learning. Organizations hire Green City so their employees can have their own experiences growing delicious produce at work; this food is served onsite or donated to their preferred partner Food for Free. 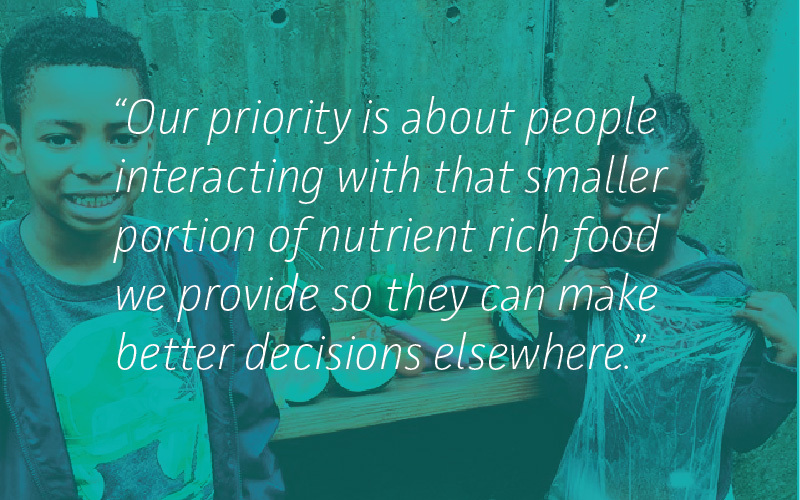 "Our priority is about people interacting with that smaller portion of nutrient-rich food we provide so they can make better decisions elsewhere"
If you’re willing to listen, your customers will tell you exactly what you need to know about them. Jessie talks about how their offerings have diversified over the years, starting with raised-bed gardens for consumers and evolving into educational programs and corporate accounts. Whether it was B.good asking them to set up facilities that would allow them to produce vegetables in their restaurant locations, or insurance companies asking them to set up employee wellness and education programs, Banhazl and the team rolled with it. Their offerings are a reflection of their customers. 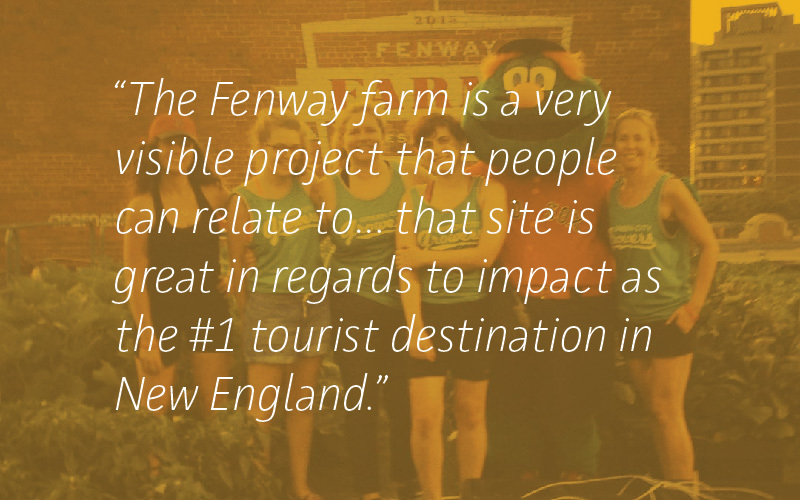 "The Fenway Farm is a very visible project that people can relate to... that site is great in regards to the # 1 tourist destination in New England"
Whether it’s a way to ensure food security, connect to the natural world, or just get delicious produce, it doesn’t take much to convince someone of the merits of having food grown close by. When urban migration occurred, many people abandoned rural life for city life and the opportunity to grow their own vegetables became much more difficult. GCG is the latest incarnation of an idea that has been around since WWII’s “victory gardens” and community gardens formed out of vacant lots in the ’70s. People want to interact with their food, and touch the soil that it grows in. GCG has figured out how to make that accessible to people, even in the most crowded urban environments. And for those people counting their food miles, it’s hard to beat a couple feet. "We just launched a direct public offering to expand the business regionally as a form of crowd funding"
Getting funding for a startup can be tough, and it can be nearly impossible when an org isn’t the Uber of fill-in-the-blank. GCG managed to get off the ground without much working capital. They got a small round of funding from friends and family, and used deposits put down on an order to buy the materials to complete the job. Seven years later, they’re in the black and have launched a capital grassroots public offering. (Think: Facebook going public, with more of a food-coop feel). 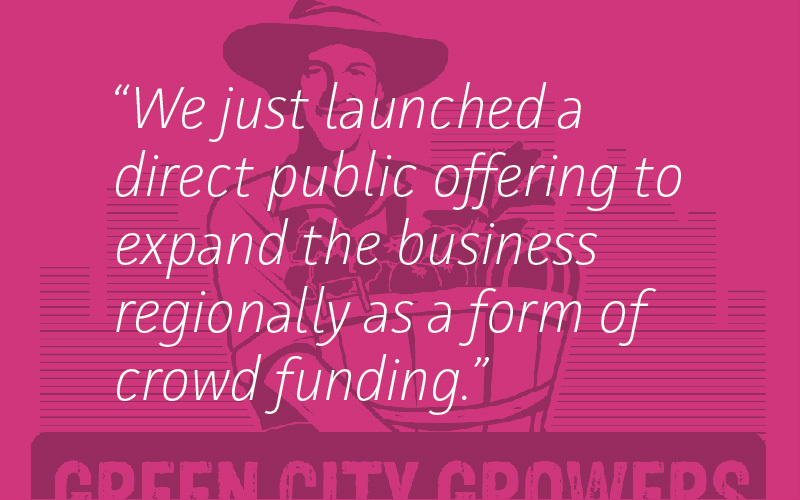 "If I stopped when I said, 'This is hard', we wouldn't be the legitimate company we are today"
Since the early days, Green City Growers has been about creating an impact. Today, GCG is a certified B-Corporation. It’s a designation based on the idea that a business can deliver significant returns to the community, beyond mere money. When asked about the decision to go through the certification—no small feat—Banhazl says it was an easy decision. It was just a reflection of who they already were.